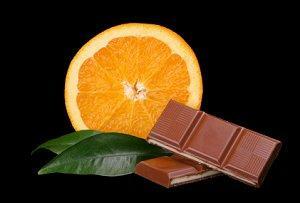 Indulge in chocolate orange aromas. Creative scented candles can make any gift outstanding and unusual. With hundreds of individual scents and scent combinations available, a creative aroma can be distinctive, delicious, and divine. Standard tea light, votive, pillar, and jar candles may be lovely, but creative candles, particularly scented ones, can be much more unusual and exotic. Scented candles can be creative in several ways, depending on how the aromas are introduced. Unique Scents: Choosing new and unusual fragrances can be a lovely way to enjoy a new candle. Coconut, key lime pie, jasmine, rhubarb, and sage are more unusual scents not found in basic scented candle collections. Blended Scents: One of the most popular ways to make creative scented candles is by blending scents to create new and distinctive aromas. Scents are chosen that compliment one another and add subtlety and flair to otherwise familiar aromas. Unique blends include chocolate orange, strawberry shortcake, tropical fusion, cherry limeade, pineapple banana, eucalyptus spearmint, and oatmeal honey. Even more exotic blends such as chamomile ginger and patchouli sugar are often used for aromatherapy treatments. Layered Scents: Layering candle scents is a lovely way to turn a single candle into several. As with blended aromas, scents are chosen to compliment one another, and they are often associated with complimentary colors as well, particularly for seasonal candles. A red, white, and blue summer layered candle may have cherry, vanilla, and blueberry scents, while a green, white, and red layered candle could be pine, peppermint, and cranberry aromas for the holidays. Tropical fruits, flowers, and other compatible scents are also frequently layered. Seasonal Scents: Holiday themed candles often have more creative scents because they are only found at certain times of the year. Pumpkin cake, candy cane, cranberry mist, and mulled cider are popular fall and winter scents. Blend only compatible scents to avoid harsh aromas. Avoid adding too much scented oil to the wax. Excess oil can create an overpowering scent, too much soot, and uneven coloration in the finished candle. If creating a scented candle gift set, choose compatible scents and opt for the recipient's favorite choices rather than unknown experiments. For fresh aroma and beauty, give creative scented candles a try. With a wide range of scents in blends, layers, and unusual shapes, it is possible to enjoy creative aromas to suit any mood.